Established in the spring of 2013, The MCRRC Competitive Race Team is a co-ed, racing team based in the Washington, DC area. The team was established to recognize highly talented runners within MCRRC, promote competitive racing among club members and increase the visibility of MCRRC at races. We compete in track, cross country, road, and trail races. Our members are post-collegiate, parents and professionals united by a love of running fast and competing hard. If you are a competitive runner in the DC area please consider joining our team! We are seeking talented runners for our Open and Masters teams. We accept applications on a rolling basis and are always looking for new talent. Those that meet the qualifying times noted below are encouraged to apply. In addition to race times, the following criteria are also taken into consideration. If you have what it takes you are strongly encouraged to submit a running bio and your best race times over the last year at varied distances.Please email a statement of interest, running bio and race times to racingteam@mcrrc.org. 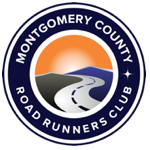 All racing team applicants and members must be registered as a member of the Montgomery County Road Runners Club (MCRRC). Membership must be current in order to remain on the team. Visit the home page and click on “Join” for more information. Members are expected to show good moral integrity, good sportsmanship, and respect towards team members, competitors, and MCRRC members at all times. Members are expected to maintain personal health standards commensurate with participation in distance running events. Members are expected to abide by all local, state, and federal laws. Members are expected to be a good ambassador for the team not only in competitions and practices, but any event in which they may be representing MCRRC. Members are expected to abide by WADA and USADA anti-doping rules and regulations. Members are expected to meet and maintain the performance standards set by the Committee. Members are expected to abide by the rulings of the Committee, with the understanding that questions and concerns may be addressed to members of the Committee for discussion and vote in Committee meetings. Members of MCRRC racing teams need to compete on an MCRRC team in a series of races throughout the year. Team members are strongly encouraged to compete in at least 8 races in the Washington DC area on an annual basis. There could be assistance from the club for some of the race entry fees. In the event a runner cannot fulfill the racing requirements due to injury or other factors, the runner can volunteer instead to fulfill obligations. All members must also successfully meet or exceed the established age grade standards of at least 70% age-performance result in at least two (2) races at distance from 1 mile through marathon within the previous 12 months. Information about age grading can be found on the USATF website. The validity of these times will be determined by the racing team coordinators and committee. The racing team coordinators will monitor the status of the time standards to ensure that all team members continue to satisfy the standard.